Yesterday we archived the /election2017 section and took a record of the statistics of the project. Overall we saw 199,766 pageviews of /election2017/ profiles and ward detail. 98,974 of that being page views of ward pages with people checking out who was standing, how to vote, and where the wards actually were – this is aside from the reach on social media. The most read was also shared most socially in numbers almost double the total of the ward electorate, however that did not translate to votes with Nathan gaining 195 votes with Debbie Wallice winning with 507. Dana Davies (Ruabon) and Paul Jones (Maesydre) recorded the longest average times reading completed profiles and Q&A’s, with Alan Ennis (Plas Madoc) the least read on both time and pageviews but he did not complete a profile nor the Q&As. Late afternoon on election day we flicked over to our live results service, a page that had a live video slot to the left with updates below – plus fifty two circles ready to be filled with the beaming faces of new councillors. Below those was a videprinter style updates system that would calculate the winners as the results were announced. That system would feed into the live ticker on both the website and the video feed. Overall we served 182,557 pages over Thursday and Friday which covered our ‘go vote’ article and the results dashboard, with it worth noting our results system was auto updating for convenience of readers and to save the server from melting, so as a result one pageview often lasted a very long time. The above shows the traffic graph for the site, with the peak being 11pm-midnight. 96% of the live stream views came via Wrexham.com, but a few watched direct via Youtube and the stats show that a handful even popped it on their TV for some big screen action. At the time of writing the video feed had 7,123 views with 80,000+ minutes of watch time which works out to be just over 55 days in total. Youtube shows a concurrent viewer graph, with the rise and fall of views – for those interested the red line top spike was when Gwenfair Jones was elected. Later a mini drop off was after Alun Jenkins was returned, then later after a batch of results were announced. At 2am there was still over 200 people watching the live feed, let alone the live update page. 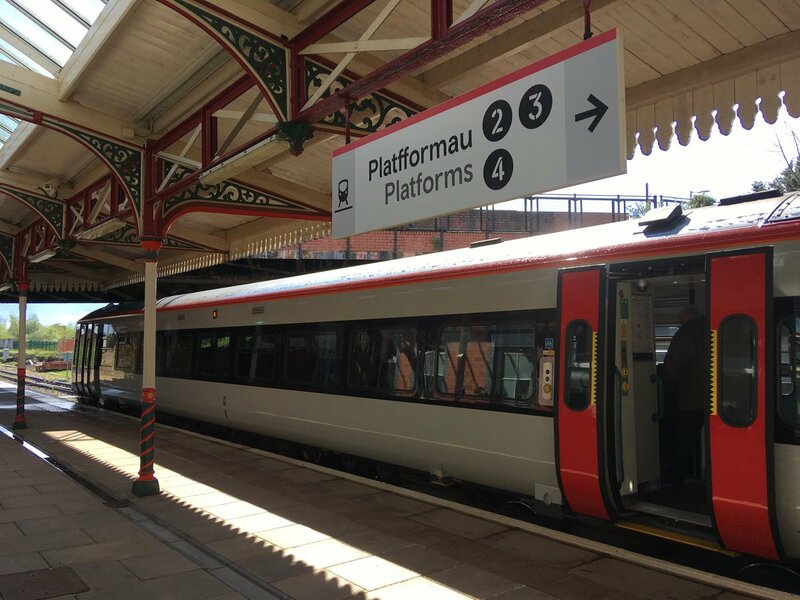 Our system was not only used in Wrexham, we helped out on the Isle of Wight (!) where there is a long standing Wrexham.com-esque independent site called OnTheWight.com – they deployed the Q&A section as well as using the results system. Previously we have conducted a round up of local media however the build up was muted in the Leader, Daily Post or BBC with very little (if anything) on those standing or even that there was a local election being held. The Leader have previously issued their own PR over ‘military style operations’ to get their draw-your-mum project in place that is a ‘proven sales driver’ – however such effort could not be made for a local democratic event that happens every half decade. On the night the Daily Post kept up their 100% record of count attendance, and the Leader changed tack from their non-attendance at the minor matter of the EU Referendum deciding to staff the night with a reporter and photographer. 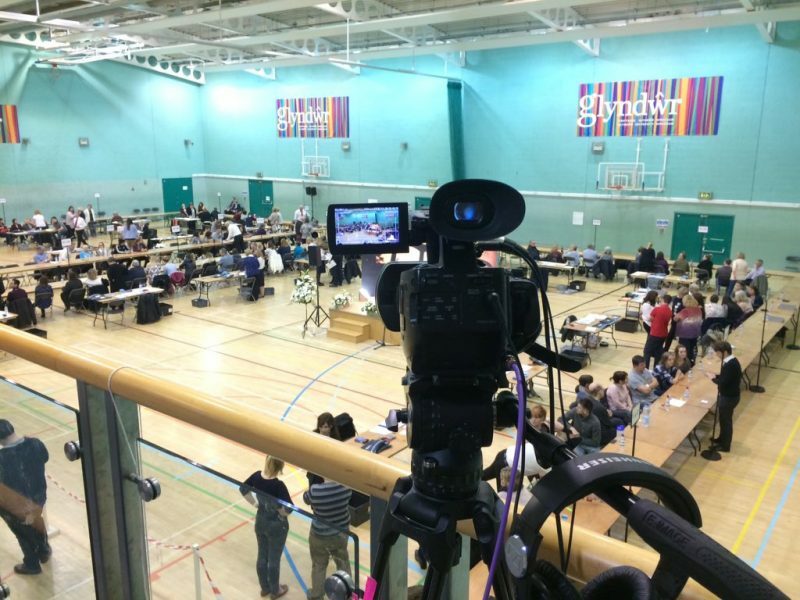 The BBC and ITV also attended the count with full reporter and camera gear. Due to restricted local council budgets the vast buffets to media of old no longer happen – so we sorted that out, as a result our thanks to La Baguette and King Street Coffee! Thanks also goes to the ever excellent Leighton Cox for helping with the video feeds (if you are getting married or know someone who is check his work here! ), Rich Knew, Gareth Jones and Liam Randall for giving their insight on the night, plus Wrexham Council for hosting the media room. Thanks as well to Wrexham Glyndwr University (Martin & Andy especially!) for sorting out a special ethernet port just for us. The election software took several weeks to knock together with bugfixes right up to and including live on the night. A special thanks to Adam at MyDesign Wrexham who helped code the various systems you saw and didn’t see that all helped bring you the Q&A’s and results. Thanks as well to Mark at Dark Group who has been ever supportive with the backend elements of what we do. A note of thanks must be made to the 75% of candidates who interacted in the system before the election in some way, and as usual the final thanks goes to you! It would be easy to see the lack of coverage in 2012 as an indiction people do not care, but you really do! Read 1,158,123 times in last 30 days, and 74,065,042 times since we started in 2011.